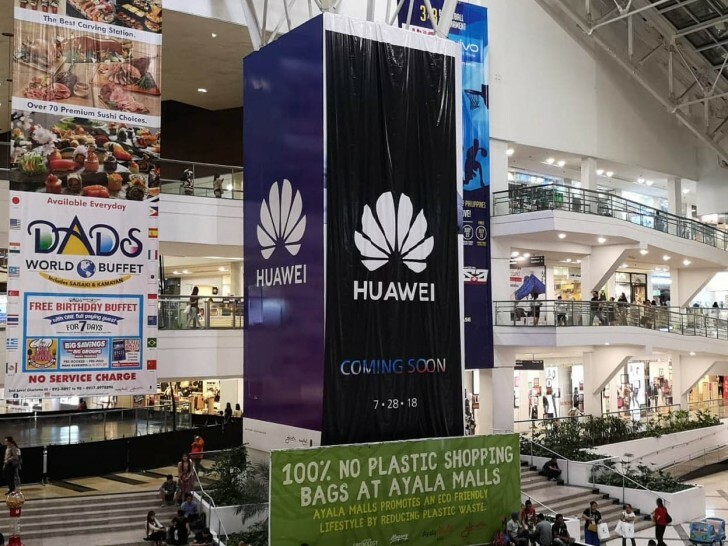 Huawei is advertising a new smartphone in the Philippines as Coming Soon with the date of July 28 stamped on the teaser. So far such a teaser has been spotted in the Glorietta Mall in the capital of Manila. The teaser likely refers to the Huawei Nova 3, which will be announced on July 18. The Huawei Nova 3 shares the design of the Huawei P20 Lite but is an improvement on its specs. It will have a bigger 6.3-inch 2340x1080px display, faster Kirin 710 chipset paired with 6GB of RAM, an ample 3,650mAh battery and four cameras. The dual camera on the back will be a 16MP+24MP unit while the front-facing duo will consist of 24MP+2MP. Ahhh, Kirin 710! Good thing I didn't pull the trigger yet to buy P20 Lite.